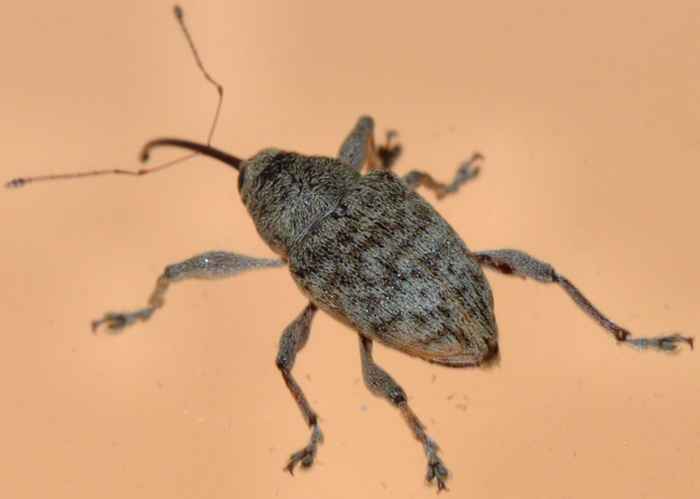 Curculio sp. (Nut and Acorn Weevils). Size: approx. 10 mm. Photo: 09/26/11, 10 pm. A member of the Snout and Bark Beetle family. This specimen is a Nut and Acorn Weevils (Curculio sp.). The genus has 27 species in North America (>350 worldwide). Female beetles bore into nuts and acorns with their long snouts to deposits eggs.